Beijing: China is negotiating with pharmaceutical companies to slash prices of five expensive drugs used to treat cancer or other major disease by at least half as part of a pilot programme. The five drugs are for treatment of cancer or other major diseases, and are very expensive as they are patented or imported, Li Bin head of National Health and Family Planning Commission said. 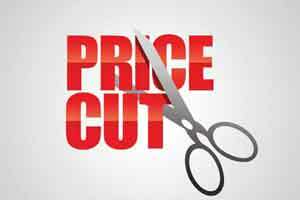 Their prices are expected to be cut by at least half, he told the media on the sidelines of the Parliament session here. Li, did not elaborate on drugs or pharmaceutical companies are involved. Once negotiations are concluded successfully, the drugs can be covered by health insurance, state-run Xinhua news agency quoted Ma Xiaowei, the commission’s deputy head as saying. Prices of drugs very expensive in China as they are mostly sold through public hospitals which makes profits out of them. Also China’s pharmaceutical sector is dominated by multinational firms whose highly prices drugs are distributed through the hospitals. India has been making strong case to China in the last few years to open up the pharma sector to allow comparatively cheaper Indian drugs into the country to bring down the costs of the medicine in China.